The rapid development of economic trends increasingly encourages companies to hire foreign skilled personnel in various fields. 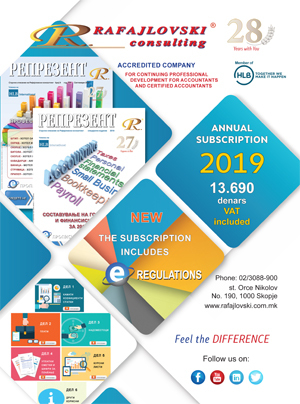 Rafajlovski Consulting as an independent reputable company becomes more involved in the control and development of companies in the country. For this purpose, we prepare studies, programs and business plans on the basis of which the development of the company will proceed and the manner of control of its successful operation.